Fr. Serge-Thomas Bonino, O.P. (General Secretary of the International Theological Commission) and the Dominicans over at the Institute Catholique de Toulouse are joining the efforts of the Institut Saint Thomas d'Aquin, the Revue thomiste, and the Studium du Couvent Saint-Thomas d'Aquin, in order to create what seems to be a promising new master's program in Scholastic Philosophy (in French "Master actualité de la philosophie scolastique," in Latin, Licentia docendi philosophiae scholasticae), an ecclesiastical philosophy degree granted by the Institut Catholique de Toulouse. The program clearly aims to be faithful to the tradition of Scholastic Thomism. The program is expected to open in September of this year. This is very exciting news. As many readers of Ite ad Thomam are aware, in the last fifty years or so, Thomists in general have abandoned the use of St. Thomas' own method (the scholastic method) and have turned to other, usually modern methodologies (historical, analytical, etc.) to present the doctrines of the Angelic Doctor. Sadly, except for the few isolated attempts of a few scholars here at IAT and elsewhere, there are no traditional (or scholastic) Thomists anymore. This program could go a long way towards the restoration of our school of thought. 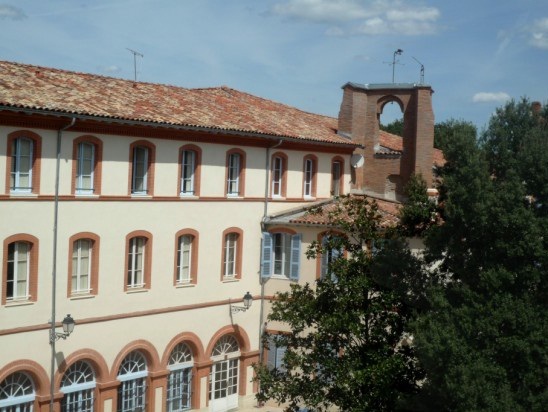 Could this program at Toulouse be the first graduate degree program since the last Council that seeks to restore scholastic Thomism? Although the site and the brochure (which I obtained privately and does not seem to be available online) do not say anything explicit on the use of the scholastic method in the classroom, the brochure does speak of the use of an orderly methodology in each discipline ("En avançant avec méthode dans chaque discipline les étudiants acquièrent une vision organisée et cohérente de la réalité"). 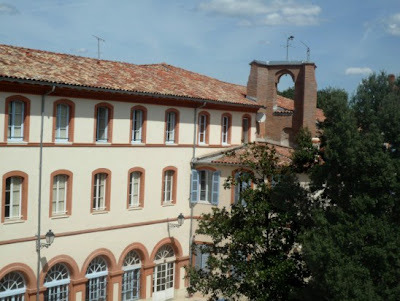 The coursework is two years long, and it includes courses in logic, natural philosophy, philosophical psychology, ethics, politics, metaphysics, the history of philosophy, methodology, and sacred theology (STL courses from the Institut Saint Thomas d'Aquin). - S. Thomas d’Aquin et la Somme de théologie. Groupe de recherche de l’Équipe de recherche Éthique, cultures & humanité (2007-) de l’ICT. Although the program is clearly not governed exclusively by traditional Catholic principles, at the very least, it is definitely a step in the right direction. The program also features a few interesting names among its faculty. Bonino is, of course, the most eminent Thomist among the professors. And although he cannot quite be catalogued as a scholastic Thomist (he is more of a historical Thomist), Bonino is nonetheless convinced that "the massive rejection of the 'commentators' by mid-20th century Thomism" is not at all a good thing. His historical research on some of the chief members of the tradition of scholastic Thomism has done much to promote the restoration of scholastic thought. 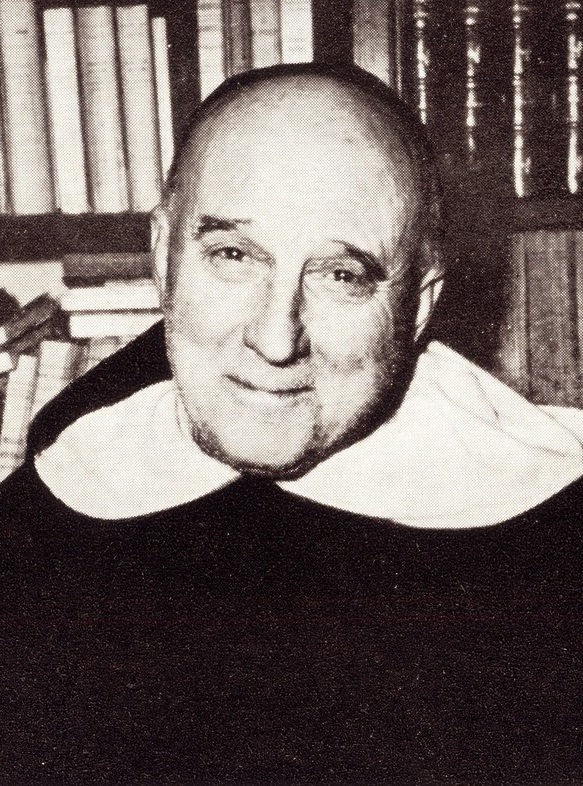 But it is noteworthy that, in addition to Bonino, two traditional Catholic professors are listed as faculty members, namely, Stéphane Agullo and Bruno Couillaud, both of which also teach at the seminary of the Institute of Christ the King Sovereign Priest (the latter also teaches at the FSSP seminary in Wigratzbad). For us traditional Catholics, this is a very good sign. Dare we hope that one such theology program be developed in the near future? Your point at the end is worth pondering. If this is going to be done in theology who will do it. Perhaps Ave Maria is the closest? Also have you heard of the Thomist Institute in Utrecht(mainly philosophy from what I have read)? If so do you know where they are on the spectrum? Traditional Catholics and Thomists have to start forming intellectual networks so we can retake the field. Hi! I found your site very fascinating. What attracted me to it are the list of classic Catholic Theological Books. These are treasures! I also found interesting posts such as WHAT ARE THE TECHNIQUES OF NEO-MODERNISM AND THE NOUVELLE THEOLOGIE where you distinguished between positive theology and ressourcement. Since you are not just a Thomist, but a traditional thomist, I presume you are exposed and acquainted to controversies just like the Scholastics. There is this Catholic Systematic Theologian by the name of Emil Anton who posted heavy doses of anti-catholic objections against "Papal Infallibility" and Catholic Apologetics in general. I hope to see how a Traditional Thomist stands the test of time by crossing swords with so-called "modern systematic theologians". I also hope to read more of your articles criticizing modern philosophers who you think shape today's intellectual mess. If it is not too much, maybe you might also want to add your criticism to some of the works anti-catholic apologists in the net today i.e. Dr. James White, Dr. Eric Svendsen, etc. Would you be willing to write about how the Scholastic-Thomistic outlook would change how high-priority Catholic issues (abortion, euthanasia, "religious freedom", democracy, ..., you tell me) are viewed and approached? May I request an article that aligns symptoms of Modernist-caused problems in the Church with the numbered sections of Pascendi? (Or several such sections, as appropriate)? Do you know where to find Gredt in English? Br. Francis (MICM) said that is the best philosophy book that existed (in 1985). @Daniel Offutt: I don't believe there is an English translation of Gredt's Elementa philosophiae Aristotelico-Thomisticae, but Don Paco is working on an English translation of Hugon's Cursus Philosophiæ Thomisticæ.